Home » Blog » Uncategorized » Who Killed Jam Master Jay? Who Killed Jam Master Jay? Run DMC’s Jam Master Jay was shot and killed in a Jamaica, Queens recording studio in 2002. Despite six witnesses present at the murder, no one has ever been convicted. Jam Master Jay’s friends and family ponder the late DJ’s unsolved murdur in the intriguing new trailer for a docu-series. 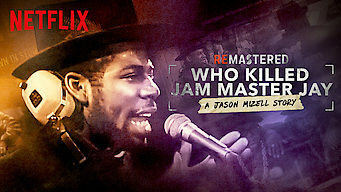 The latest installment, “Who Killed Jam Master Jay?,” launches globally on December 7th. The clip opens by surveying the musician’s rise to fame in the 1980s with pioneering rap group Run-DMC, previewing interview subjects who praise the DJ (real name Jason Mizell) as a “larger-than-life figure” and a “one-man band.” But the preview turns dark after pivoting to his 2002 murder, which occurred after assailants were buzzed into his Queens recording studio and opened fire, killing the hip-hop legend at age 37.